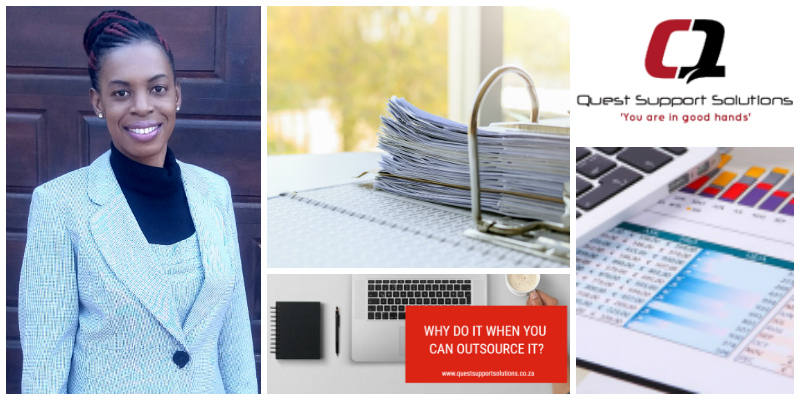 - Debra Mwodza is the founder of Quest Support Solutions in South Africa, a company offering a wide range of business support solutions to individuals and small to medium sized entities that cannot justify or afford full time assistants of their own. Debra’s service offering includes Secretarial and Office Support Services, Administration Services, Bookkeeping services, Database Maintenance, Word Processing, HR Management and Personal Organizing Tasks. She has a passion to support her clients in utilizing their time and resources more efficiently and effectively by providing the support they need - when they need it. More about Debra.